You are here: Home » About Us » Staff » Melinda Jorgensen, Ph.D.
Melinda L. Jorgensen, Ph.D. is one our newest members of our pediatric neuropsychology team. She grew up in the Southwest and received her undergraduate degree in psychology from Arizona State University. She then moved to Las Vegas and volunteered as a research assistant at the University of Nevada, Las Vegas under the direction of Daniel Allen, Ph.D., ABPP-CN, the current president of the National Academy of Neuropsychology. Dr. Jorgensen received her graduate training at Idaho State University, where she began to specialize in neuropsychology. She completed an APA approved pre-doctoral internship at Utah State Hospital. At Utah State Hospital, Dr. Jorgensen received specialized training in pediatric and forensic neuropsychology. 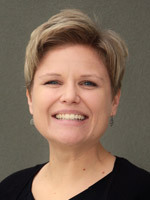 She then developed a post-doctoral residency under the supervision of Craig Beaver, Ph.D., ABPP-CN at Southeast Idaho Center for Neurobehavioral and Developmental Disorders in Idaho Falls, Idaho. Dr. Jorgensen provides neuropsychological evaluations for children and teens who present with full spectrum of conditions, including mild to moderate TBI and seizure disorder, pregnancy/birth trauma and prematurity, Fetal Alcohol Syndrome and exposure to teratogens in utero, executive dysfunction, aphasic and dyspraxia conditions, Alexithymia and Autism Spectrum Disorder, and many other conditions. In her personal life, Dr. Jorgensen is a loving wife, caring mother to her two dogs, wonderful cook/baker, and avid bicyclist.